This has been my best creation yet with the new dehydrator. I sliced gala apples and put them in the dehydrator for 12 hours to make apple chips. Then I melted dark chocolate (75% cacao) and drizzled them. 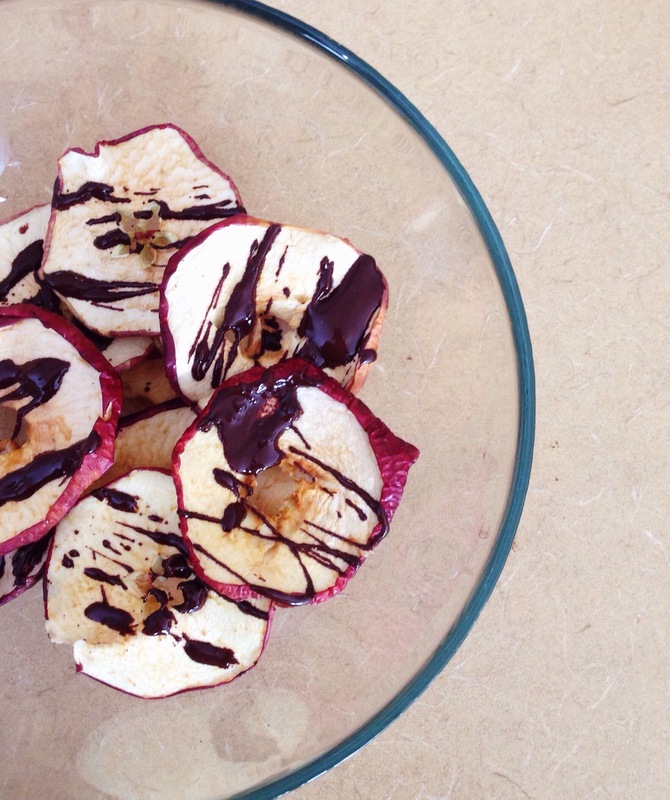 Let it dry and voila!… The most delicious chocolate drizzle apple chips.